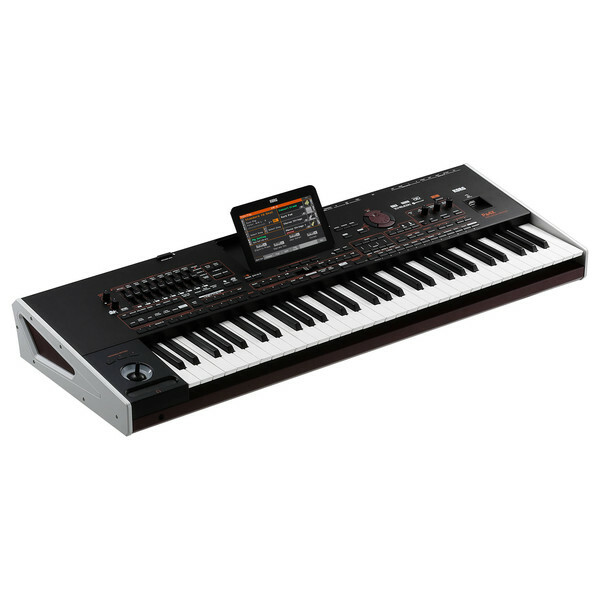 The Korg Pa4X Oriental Professional Arranger is a 61-key high-performance keyboard and workstation. Perfect for recording and composing musical pieces and arrangements, this workstation offers unparalleled performance and functionality. Part of the Professional Arranger series, the Oriental version delivers the all-new EDS-X (Enhanced Definition Synthesis Expanded) for unparalleled realism and audio quality. Featuring a multitude of studio-quality sounds and intuitive controls, this workstation is ideal for a range of musicians and composers. Special Offer: Korg are offering an extended 3 year manufacturers warranty on the Korg Kronos range. To claim your extended warranty, simply register your product with the Korg website within 30 days of purchase. The Pa4X Oriental delivers exception sound quality and definition utlising the integrated EDS-X (Enhanced Definition Synthesis-eXpanded) sound engine from Korg. The EDS-X engine delivers over 1,650 rich and articulate sounds, providing a range of different sounds and styles for any composition. Whether it be band and orchestral instruments to electronic synths, the Pa4X has it all. The sounds themselves have been recorded using state-of-the-art methods, delivering exceptional accuracy and sound reproduction. As well as the multitude of different sounds, the workstation also includes more than 140 authentic drumkits, allowing you to add a rhythm section to your composition. There is also an additional 400MB of user memory allowing you add your own kits and sounds using KORG, WAV, AIFF and SoundFont™ formats. As well as the vast range of rich and articulate sounds, the Pa4x delivers an intuitive and dynamic interface that provides all the controls and parameters you'll need to craft the sound you desire. The semi-weighted 61-key design is naturally-responsive providing both velocity and aftertouch sensitivity for a natural and articulate sound for a range of playing styles. The Pa4X features a graphic user interface that has been optimised to ensure all controls and positioned with the user in mind for a streamlined and improved workflow. The bright TouchView display can be titled forward and back to provide the best angle for viewing, eliminating any light glare and low-lighting problems. The user interface allows you the search what your looking for with ease at the touch of a button. 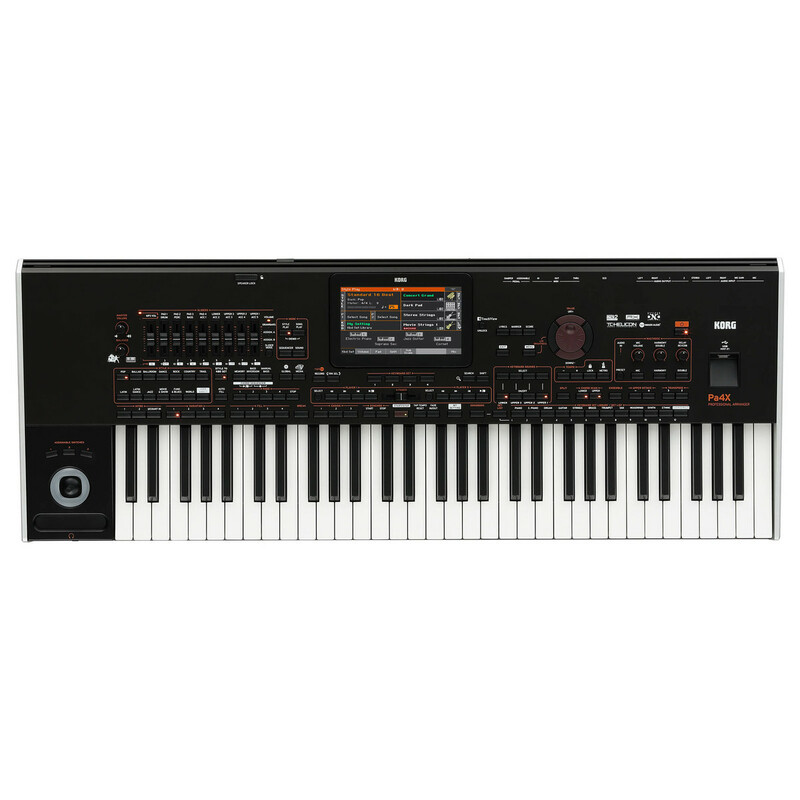 Additionally Styles and Keyboard sets can be used and played directly from a USB drive for added versatility. The Pa4X Oriental features some of the best effects from Korg's library, delivering over 140 effect types ranging from reverbs to vintage stomp box simulations. Each track within the arranger features its own EQ with low, mid and high controls, which can be controlled and automated in the Song Play mode so your composition sounds the best in any environment. As well as its own effects Korg has incorporated Waves MAXX AUDIO™ suite, delivering exception clarity and power. One of the most unique effects features is the TC Helicon Voice Processor. This voice processor is perfect for vocal harmonies and vocal effects, with up to 4 harmony voices available, all controlled using the keyboard or MIDI events. Vocal effects from the voice processor include: rever, Delay, Filter, Pitch Correction, Compressor and more. In addition to the vocal effects, the arranger features a XDS Dual/Player and recorder. This function allows you to play two different MP3 or MIDI files simultaneously, allowing you crossfade between tracks or create a playlist for automatic playback. The files can also be transposed, sped up and slowed down for added versatility. Also included is a marker function which allows you to mark a certain position in the file and jump to it or create loops. The 6-track recorder allows you to sequence and edit tracks, allowing you to record, edit and arrange entire performances or composed pieces with ease. The player/recorder also features a function to remove lyrics from MP3s and display lyrics on the screen, perfect for karaoke purposes. The Pa4X Oriental features a range of connectivity options including main Left and right output plus two additional assignable outputs. Additionally the arranger features a headphone output on the front panel plus an XLR microphone input with Phantom Power. For inputs the workstation provides a pair of balanced 1/4'' inputs and a stereo 1/8'' jack for connecting smartphone or iPods. MIDI in, Out and Thru connectors are also included as well as a USB port and RCA video output. There is also an SD card slot to add further space or importing sounds and files.